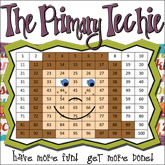 The Primary Techie: Super Sale and a Super Giveaway! Super Sale and a Super Giveaway! Hello friends! I have some SUPER news! It is time for another TpT sale. The sale begins on Wednesday. Everything in my store will be 20% off and you can use promo code HEROES to save an additional 10%. 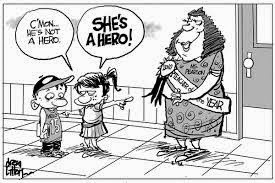 This sale is to celebrate teachers and honor you for the heroes you are. Yep! Go ahead and give yourself a pat on the back. You deserve it for all you do. I am a serious shopper. Whenever there is a sitewide sale, I always like to prepare so I get the most bang for my buck. I am going to share some of my tricks with you. 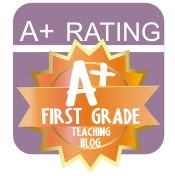 1) Earn TpT credits by leaving feedback! Go through all your previous purchases and make sure you have left feedback. You can use your points to save even more off the sale prices. It is easy to see what items you have not left feedback for. Just go to "My Purchases" and then sort items by "Needs Feedback". SO easy and this could save you big time! 2) Go through your wishlist. This is the time to clean out that wishlist. Maybe you put something on there and you have changed your mind. Maybe you put something wonderful on there and forgot all about it. This is the time to prioritize and snag products while they are discounted. Site-wide sales don't come around often. Think of all the things that will be coming up...Read Across America, Test Prep, St. Patrick's Day, Spring, End of the Year. This is the time to stock up for things you know you will need in the future. I want to show you some of the new things I have in my store. I have added some great management tools since the last sale. If you don't have these, you should check them out. This set is perfect for working on sustained silent reading. Check out this video to see a preview of it in action. Click here to check out Reading Stamina Timers and Tools in my store. This set already includes 50 themes to keep student behavior on-track and it keeps growing! I will keep adding themes to this set until it reaches the maximum file size allowed on TpT. I use these EVERYDAY with my kids. We use the build tools while I run reading groups. We use the take away tools at clean-up. These were too of the worst times of the day for me and now they are a breeze. I can literally praise and correct behaviors without saying a word. This is a MUST! To read more about Classroom Management Life Savers, click here. To add them to your wishlist, click here. I am LOVING these with my kiddos! We are having fun, getting some exercise, and learning. 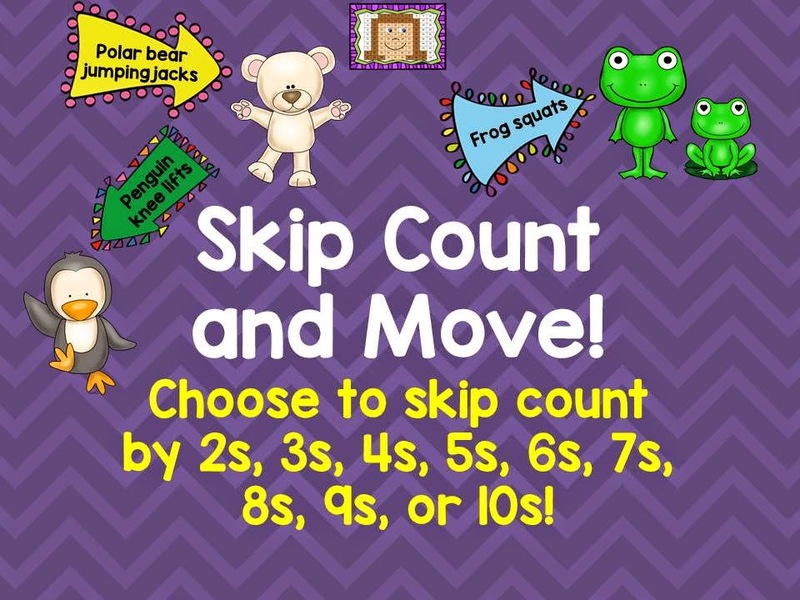 My firsties are going to breeze through multiplication because they can skip count fluently. I like to use the yoga themes when we need to calm down and relax. The Move games are fun when we have some extra wiggles we need to get out or when we can't go out for recess. 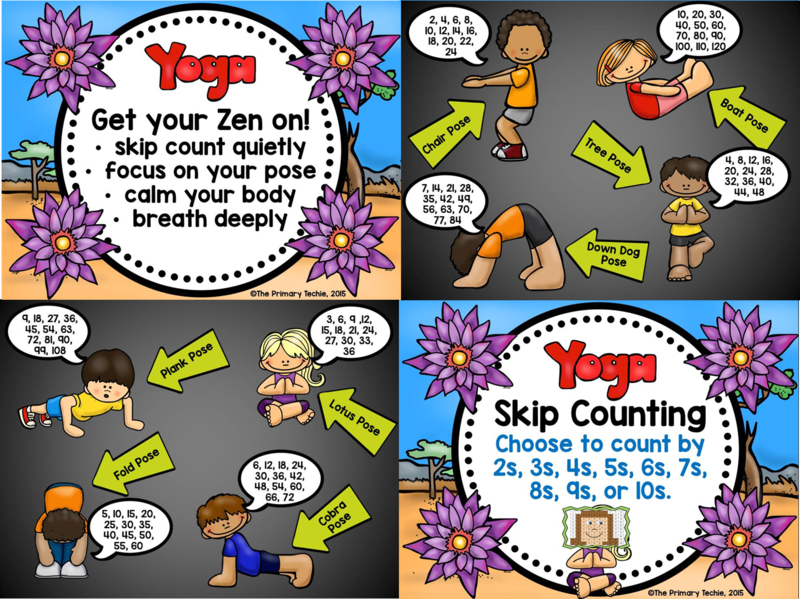 Click here to see the Yoga Skip Count and click here for Skip Count and Move. Some of my friends over at The Primary Chalkboard and I have decided to do a giveaway. We are each giving away a $20 Tpt gift certificate. Enter my raffle to enter then hop over to some of the other bloggers who are participating.